We’ve already seen what kind of a Land Rover the Jaguar Land Rover group’s SVR performance sub-brand can produce, in the guise of a 543bhp Range Rover Sport. Now we find out what ‘Special Vehicle’ means when slapped on the grille of a Jaguar. A Jaguar F-Type SVR ('R' stands for Race), to be specific. This is the new top-of-the-range, £110,000 version of the two-seater sports car that was introduced by the British firm three years ago. Taking its 5.0-litre, 567bhp V8 engine from the limited-edition F-Type Project 7, the SVR is intended very much as an everyday car. This is why it has four-wheel-drive, for inclement conditions as well as mild ones, and why its suspension is no lower, firmer or more aggressive than that of the cheaper F-Type R coupé. The SVR does get wider wheels, new anti-roll bars, new dampers and a new suspension parts at the rear, though – all intended to make for a more secure, grippy and composed driving experience. Some new, more aerodynamic body panels – combined with a large active rear spoiler and an equally large rear diffuser – make the car slice through the air more cleanly than any other F-Type. The top speed is 200mph for the hardtop (Coupé) version, making this the fastest road-going Jaguar since the famous XJ220 supercar of the 1990s. 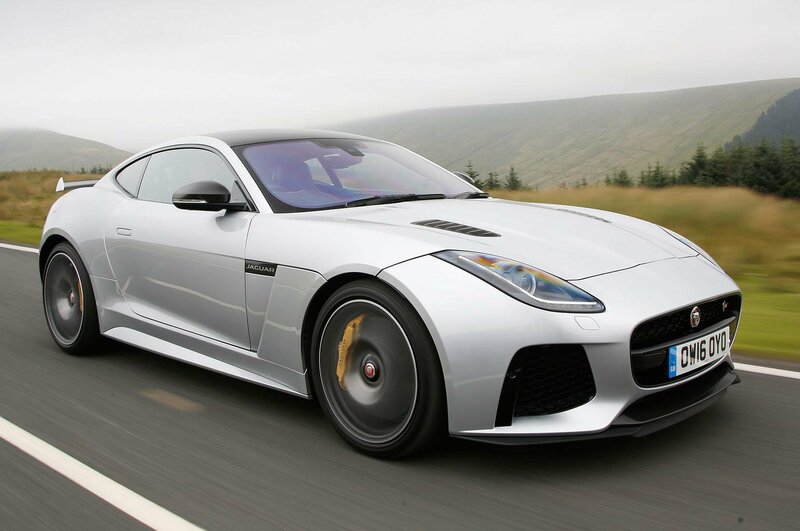 What is the 2016 Jaguar F-Type SVR like to drive? The SVR feels like a V8 F-Type with its corners knocked off and bad habits schooled out of it, rather than anything revelatory in the performance or handling stakes. It’s true that the car corners very sweetly, makes an effusive and rich noise, and can summon up the sort of pace that’s well beyond plenty of other sports cars that aren’t too far from its price tag. 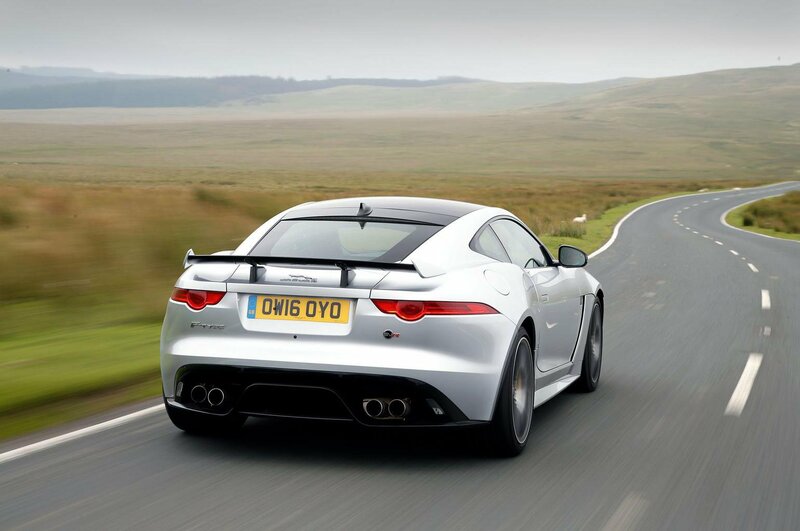 However, broadly speaking, the same it true of an F-Type R Coupé – or an F-Type Roadster, for that matter. 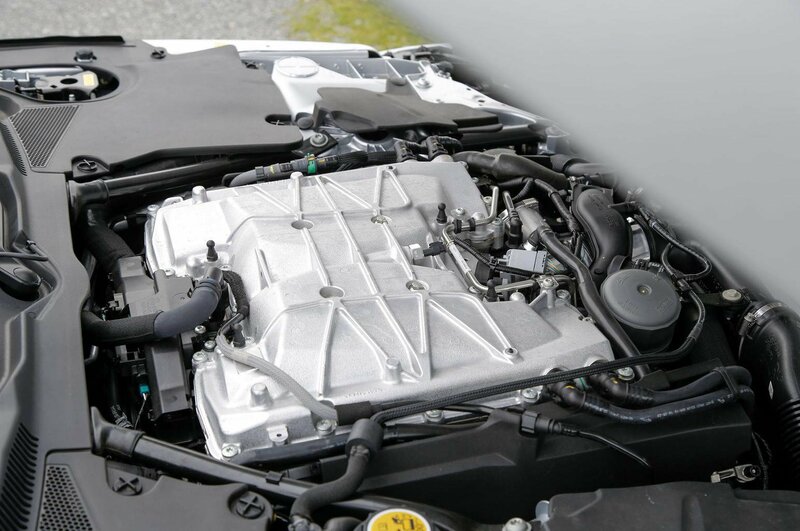 Where the work of JLR’s Special Vehicle Operations department does show is in the car’s ride, which is slightly more supple and settled than that of an F-Type R, and in its handling, which is more stable and secure. On a dry surface, the SVR’s four-wheel drive system doesn’t seem to make so big a contribution to taming the F-Type’s formerly very tail-happy handling as its wider rear tyres and strengthened rear suspension. The steering is a touch more agressive as you begin to turn the wheel than an F-Type R’s, which may not appeal those who like a really planted feel. Yet once the SVR is settled on a fast cornering path, you can accelerate out of the corner without constant fear of the rear of the car trying to swap ends with the front. Ultimately, though, and Audi R8 or a Porsche 911 Turbo has much higher handling limits than the SVR. Leave the dampers in normal mode (there’s now an extra driving mode available through the infotainment system called Dynamic-I, which lets you mix and match settings for steering, gearbox, engine and suspension as you prefer), and the car rides most lumps and bumps with surprising compliance for something this fast. Then again, so does an Audi R8. What is the 2016 Jaguar F-Type SVR like inside? Jaguar’s claim that this is a truly usable vehicle is to be treated with a little bit of scepticism. The F-Type is, after all, a strict two-seater in a market niche where occasional back seats are both available and desirable – and it’s not a particularly roomy two-seater, either. Larger adult occupants will be comfortable in it, but they won’t be spoilt for knee, elbow or head room. If you do happen to take the car on a track day, you may struggle for space if you’re tall and are obliged to wear a helmet. The SVR’s hatchback boot is a decent size, at just over 400 litres in all, but it’s fairly narrow and won’t allow you to carry as much as you would in a Porsche 911 Turbo with its rear seats folded down. Jaguar’s interior touches for the SVR include new quilted sports seats, which are comfortable, supportive and appealing to look at. There's also some new leathers and Alcantara-like ‘suedecloth’ upholstery for the dashboard and steering wheel. Just don't expect material quality or build quality to rival similarly priced German rivals, such as the Audi R8 or Porsche 911 Turbo. Jaguar’s InControl Touch Plus infotainment system comes as standard, providing an 8.0in touchscreen interface, sat-nav and DAB radio, as well as InControl apps for integrated smartphone connectivity. The multimedia set-up isn’t as responsive, attractive or usable as the optional widescreen InControl Touch Pro system you can get on other Jaguars – which seems a shame for one of the marque’s flagship models. Compared to rivals such the Audi R8 and Porsche 911 Turbo, the F-Type SVR feels a little bit heavy and ponderous through corners. It simply isn't as focused as those cars, and it isn't as ballistically fast in a straight line either, although a 0-62mph of 3.7sec is still more than enough to get your pulse racing. Yes, the SVR sounds utterly brilliant, and limited practicality aside, it is surprisingly easy to live with. 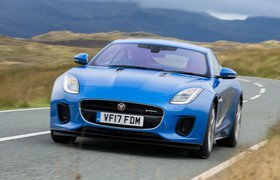 However, given the fact it isn't as sophisticated as its similarly priced rivals in terms of handling , we can't help but think you'd be better off with a cheaper F-Type. A V6 340 will cost you half as much money (yes, you read that correctly) and yet still looks and sounds brilliant. Or if you must have a V8 version, the R model comes in a £87,000, which is still healthy £23k less than this range-topping SVR.